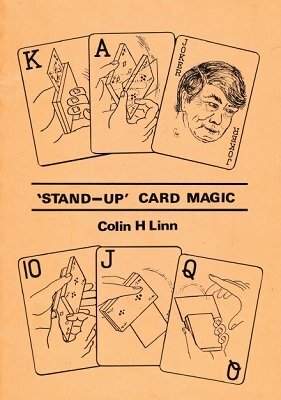 Colin Linn is a quietly spoken New Zealander who passionately believes that magic must entertain. Stand-Up Card Magic is a collection of proven visual effects that are at their best when performed standing up. Very little has been published specifically on 'stand up' card magic. Colin believes in audience involvement and whenever possible an effect should be done with the audience and not aloof from them. Set your teeth on edge! 1st digital edition 2013, 48 pages.